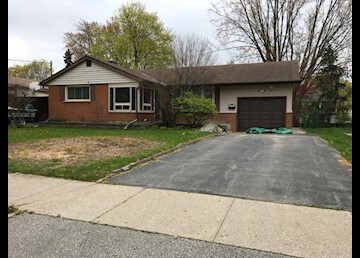 K-W Property Management Corp Presents: Located at 1-67 Rennie Dr Kitchener SOLID BRICK BUNGALOW ON A QUIET TREE LINED STREET. IN THE HIGHLY SOUGHT AFTER STANLEY PARK AREA. CLOSE TO SCHOOLS AND SHOPPING AND LOCATED ON A QUIET TREE LINED STREET. •	3 bedrooms •	Shared laundry •	3 appliances •	Central air conditioning •	Shared parking with garage •	Shared yard Close to the 401 and all amenities (Zehrs, Tim's, Shoppers & TD)and schools, this unit shows like new. Hurry, this won't last long. $1,795.00 all in (with a $200.00 a month cap on utility usage) Available Now www.kwproperty.com To book appointment check our online calendar for upcoming showings http://kwproperty.com/calendar.asp If you do not find a suitable time please email with your availability and we scheduled you in to view the unit.